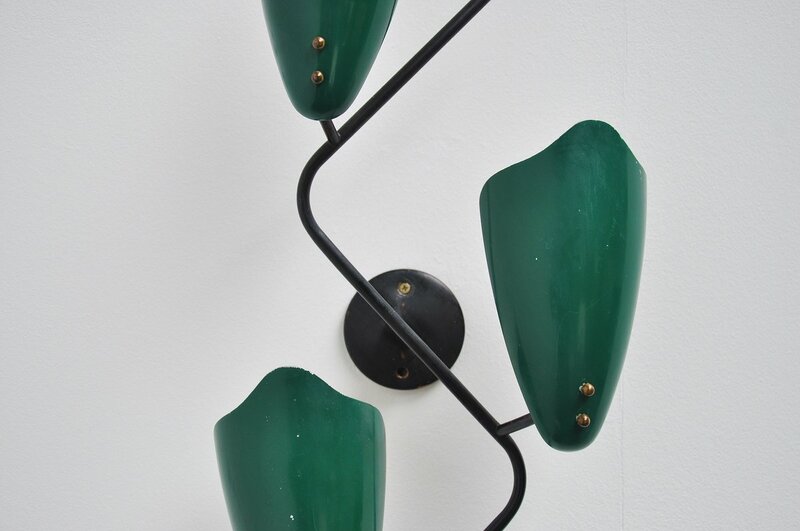 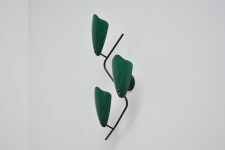 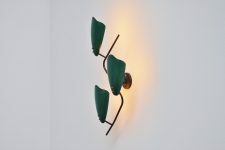 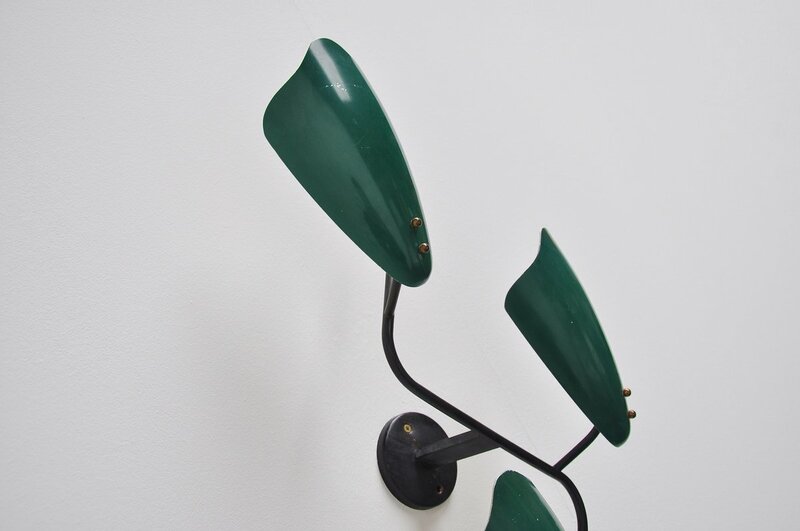 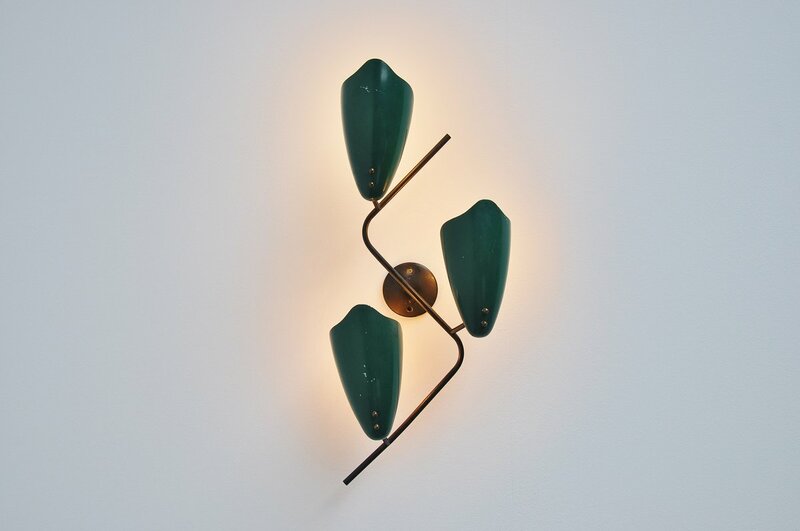 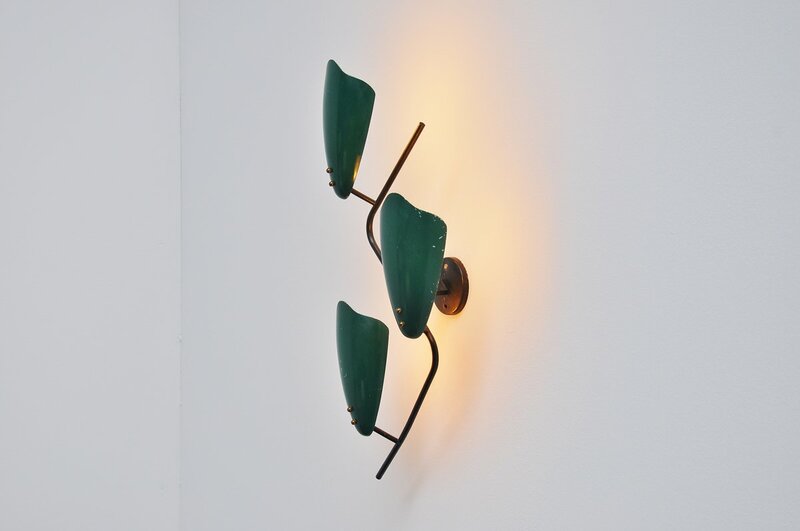 Very nice shaped wall lamp with 3 dark green shades and brass finishing. Unknown maker or designer but probably Italian, maybe French. 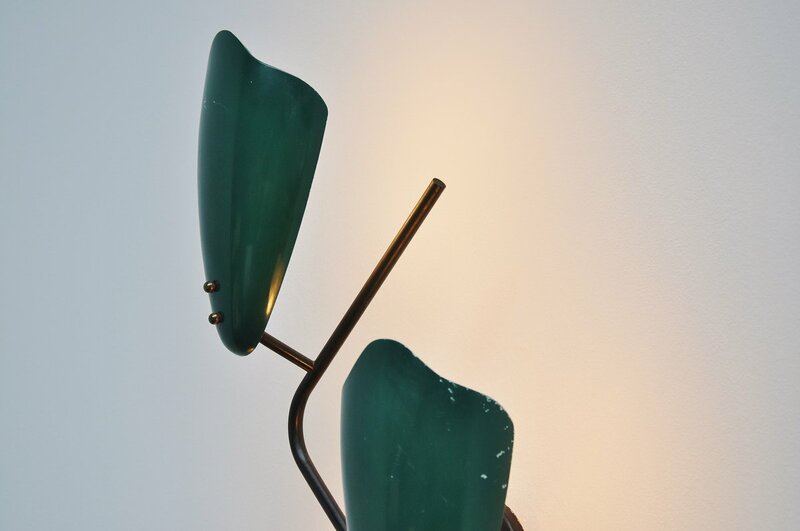 The lamp gives very nice and warm light when lit and is completely original and working.